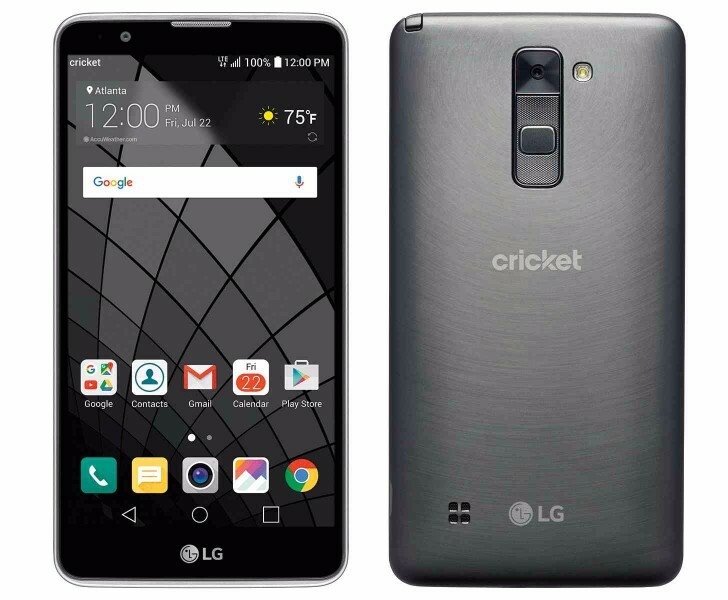 Having already launched at Sprint's prepaid brands (Boost Mobile and Virgin Mobile) last month, the LG Stylo 2 is now on its way to AT&T's Cricket brand. As this is also a prepaid carrier, you won't need to sign a long-term contract to grab the phone when it becomes available online and in stores on May 13. The handset is priced at just $169.99. Then again, it is a mid-ranger so don't expect flagship specs. The unique selling point of the Stylo 2 therefore has to be its built-in stylus - not something usually seen in this price range. The Stylo 2 has a 5.7-inch 720p touchscreen, and if the model offered by Cricket is identical to the one that's out at Boost and Virgin (and there's no reason to think this won't be the case), then also expect to see a 13 MP rear camera, a 5 MP selfie shooter, 2GB of RAM, 16GB of storage, and a 3,000 mAh battery. Qualcomm's Snapdragon 410 SoC should be at the helm, coming with a 1.2 GHz quad-core CPU. The Stylo 2 runs Android 6.0 Marshmallow.